1) (Wakefield, co. York). Sa. three covered cups in pale or, betw. two palets ar. Crest—A lark volant or. 2) Ar. on a chev. gu. betw. three lozenges sa. as many martlets or. 3) (London; granted, 1564, by Harvey, Clarenceux). Or, a pale betw. two lions ramp. sa. Crest—A lion’s head couped sa. charged on the neck with a saltire humettee or. 4) (Newland, co. Gloucester). Or, on a bend cotised sa. three covered cups of the first. Crest—A goat’s head or, attired sa. in the mouth a laurel sprig vert. 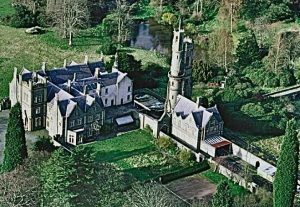 5) (Leighton Hall, co. Montgomery). Per pale or and ar. a pale sa. fretty gold betw. two lions ramp. of the third. Crest—A lion pass. sa. charged on the body with two saltires or, resting the forepaw upon a shield charged with the arms. Motto—Hoc age. 6) (Hooton Hall, co. Chester). Same Arms, &c.
7) (co. Durham, and Offord-Darcy, co. Huntingdon). Or, a pale betw. two lions ramp. sa. Crest—A lion’s head erased sa. charged on the neck with a saltire or. 8) (Richard Naylour, of London, Visit. 1586, son and heir of William Naylour, Esq., one of the Six Clerks in Chancery). Same Arms and Crest. 9) (co. Kent). Ar. on a bend sa. three covered cups of the field. Crest—On a mount vert an eagle rising ppr. 10) (Sir George Nayler, Garter King of Arms). Or, a pale betw. two lions ramp. sa. on a canton gu. a rose ar. 11) Ar. on a bend sa. three covered cups or. This mainly English last name is an occupational surname meaning “the nailer”, a person who made (or sold) nails, which was an important job in medieval times and the Middle Ages throughout Christendom and its precursor kingdoms, as nails were used in houses, churches, and ships, all made primarily of wood. It derives from the Old English word naegel or nayl and Middle English nayle, plus the suffix er, which roughly translates to “worker in”. The name first became established in Gloucestershire where the family held lands and title in antiquity. Common spelling variants or names with similar etymologies include Nayler, Naylar, Naylere, Nailer, Nalor, Naiylor, Naylore, Naylour, Naile, Nailere, and Naile. It can also be an Americanized or Anglicized version of the German surname Nahler or Nagler. The last name Naylor ranks 2,088th in popularity in terms in the United Status as of the 2000 Census. The name ranks particularly high in the following six states: Utah, West Virginia, Delaware, Mississippi, Pennsylvania, and Idaho. The name is also present throughout the remainder English speaking world: Canada (2,499th), New Zealand (991st), Australia (1,055th), and South Africa (4,368th). The 1890 book Homes of Family Names by H.B. Guppy, states the following in regard to this surname: “Some of the Naylors of Derbyshire are probably connected in their descent with Christopher Nayler of Derby, who, in 1666, left bequests for the poor of the parishes of St. Alkmund and St. Michael in that town (G.). The name is still in Derby”. The earliest known bearer of this surname was Stephen le Nailere who was documented in the Calendar of the Patent Rolls in London in 1231 AD. William Nayl was recorded in Berkshire, England in 1255 AD. The Hundred Rolls of 1273 AD, a census of Wales and England, known in Latin as Rotuli Hundredorum lists two bearers of this surname: James le Nayler (Yorkshire). A one John le Naylere was recorded in Northumberland in 1292 AD. The Placita de Quo Warranto lists one John le Nayler in county Northumberland around 1292 AD. The Memorials of London, by Riley, records one Stephen le Naylere in London. The Poll Tax of Yorkshire in 1379 AD lists two bearers of this last name: Johannes Nayler and Willelmus Nayler. Early marriages involving this surname include 1) Robert Nayler to Margaret Larke at St. James Clerkenwell in 1565 AD and 2) Sarah Naylor to John Hicks at St. George’s Hanover Square in 1744. An early baptism involving this surname was William, son of Wylfrecan Naylor, in 1603. 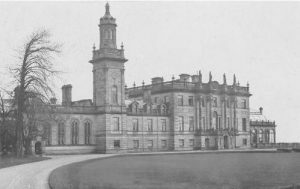 The famous genealogist Bernard Burke’s books “The Landed Gentry” and “Peerage and Knights” do not contain an entry on this family. 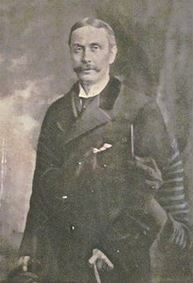 Richard Stephen Nayler (or Naylor) Sr. was born in Raby, Staindrop, county Durham, England in 1415. he married Alice, with whom he had three children: Richard Jr., Alice, and Margaret. His son Richard Naylor Jr., Esq, whose last name is also spelled Nayler or Naylour, was born between 1420-1466. 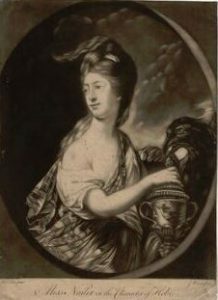 He married Elizabeth Neville, Dame of Abergavenny and had the following issue with her: Alice (Roberts), Joan (Culpeper), Robert Sr., John, Thomasine, Hugh, and Thomas. His son Robert Sr. was born in Glassenbury around 1472 and he married a woman named Alice, with whom he had a son named Robert. Robert Jr. was born in Canterbury, Kent, around 1499 AD. He had a son named John. 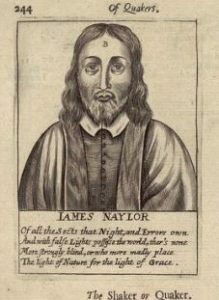 John Naylor was born in 1528 and he had a son named Thomas. Thomas was born in 1564 and he married Isabel with whom he had six issue: Henry, Elizabeth, William, Margery, Robert, and John. His son Robert was born in Derbyshire in 1600 and he married Anne Maunsell and Margaret Wildbore. He had the following children: Robert Jr. and Henry. His son Robert Naylor, Jr. was born in Derby, England in 1641. He went to America. His wife was named Elizabeth Greenhope and he had the following issue with her: John, Robert, Robert, Eleanor, Joseph, Priscilla, Sarah, and Mary. His son John Naylor Sr. was born in Neshaminy, Pennsylvania in 1664 and he married Joanna or Jane Cutler with whom he had the following issue: John Jr., Mary (Tomlinson), Sarah (Searle), Jane, and Suannah. His son John Jr. was born in Pennsylvania in 1693 and he married Margaret (or Mary?) Lane and had children with her: John III, John, Hannah, Lane, Mary, Rachel, Rebecca, Samuel, Sarah, Hannah (Van Buskirk), Rachel (Carver), Rebecca (Edwards), Mary, Sarah, Samuel, and Lane. His son John Naylor III was born in 1717 and he married a woman with the last name Knowles and had the following issue with her: Mary, Ann, Elizabeth, Hannah, Jane, Rachel, Rebecca, Samuel, Sarah, John IV, Samuel, Rebecca (Brown), Rachel, Sarah (Matthew), Ann (Harbert), Elizabeth, Hannah, and Jane (Cates). His son John IV was born in 1735. He married Mary Griffith and he had the following issue with her: Samuel W, Mary Jones, William, Abraham, Lavinah, Jane, Isaac, James, Ann (Marsh), Elizabeth, and John. His son Samuel W. Naylor was born in 1771. He married Rebecca Perrigo and he had the following issue: John S., Abraham, Annie B., Joseph, Charles, Mary (Jones), and William. His son John S. Naylor was born in Baltimore, Maryland in 1800 and he died in 1884 in Ohio. 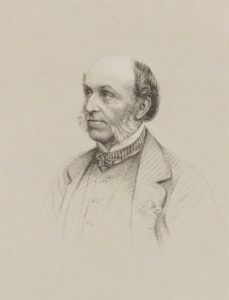 Edward Naylor was born in New Jersey in 1818. He married Elizabeth Huffman and had four issue with her: Charles Hoffman, Mary Catherine (Giles), Emma Jane (Sherwood), and Silas Huffman. 1) Edward Naylor of Boston, a merchant, who came around 1665, and he married Catharine, widow of Robert Nanney, daughter of John Wheelwright, with whom he had issue: Tabitha (1667) and Lydia (1668). His estate was taken in 1673, in execution for debt to John Freake. Early settlers in colonial America bearing this name include Thomas Naylor (Virginia 1623), Edward Naylor (Boston 1630), William Naylor (Virginia 1639), Thomas Naylor (Virginia 1642), John Naylor (Virginia 1655), and Susannah Naylor (Virginia 1703). In Canada, one of the earliest settlers with this last name was William Naylor, a United Empire Loyalist (a person who remained loyal to the British Crown during the American Revolution) who lived in Parr Town, New Brunswick in 1794. In Australia, one of the first settlers with this name was John Naylor, a miner aged 25 years, who came to South Australia aboard the Flora in 1855. Three bearers of this surname came to New Zealand in 1861 aboard the Morning Star which arrived in Auckland: Samuel, Letitia, and George, Naylor. The name was also present in the Caribbean, as one Elizabeth Nailer held lands in the Sommer Islands (Bermuda). I researched the following three resources and did not find any coats of arms for Naylor: Bolton’s American Armory, Matthew’s American Armoury and Bluebook, and Crozier’s General Armory. The Naylor family motto is Hoc age, meaning “Do this”, “Pay attention”, or “Apply yourself to what you are doing”. There are hundreds of notable people with the YYYY surname. This page will mention a handful. Famous people with this last name include: 1) Charles Naylor (1806-1972) who was an American lawyer and Whig Party member who became a representative in the U.S. House of Representatives for Pennsylvania, 2) Phyllis Reynolds Naylor (1933) who an American writer born in Anderson, Indiana know for writing children’s and young adult fiction books, best known for her book Shiloh, 3) Robert Cecil Rollie Naylor (1892-1966) was an American baseball player (pitcher) from Krum, Texas who played on the Philadelphia Athletics, 4) Stuart William Naylor (1962) who is an English football (soccer) coach and former placer (goalkeeper) from Wetherby, England, 5) Robert Wesley Naylor (1944) is an American lawyer and politician who was a California State Assemblyman who was a Lieutenant who served in the Vietnam War, 6) Richard Harold Naylor (1889-1952) who was a British astrologer and the first sun sign astrologer, 7) James Naylor (1616-1660) who was an English Quaker leader who was a member of the Valiant Sixty, a group of Quaker preachers and missionaries, and was known for preaching against the slave trade, and 8) Earl Eugene Naylor (1919-1990) who was an American outfielder in MLB born in Kansas City, Missouri who played for the Brooklyn Dodgers and the Philadelphia Phillies. The three most prominent heraldic symbols in the Naylor Coat of Arms (often erroneously called the Naylor Family Crest) are the palet, lion rampant, and the covered cup. The palet is a smaller version of the pale, being and narrow vertical stripe extending the full height of the shield. There can be several of these side-by-side, that they would show their significance with their larger relative sign of ” military strength and fortitude”. Cups of all kinds have been popular charges on coats of arms since at least the 14th century. In appearance and description they range from simple drinking pots (GERIARE of Lincoln – Argent three drinking pots sable) to covered cups, more like chalices in appearance. These were borne by the BUTLER family in reference to their name and Wade suggests that their appearance may also refer to holy communinion within the church. Thanks for the info! Really useful and saved my life! Thank you so much!! Thanks for the info! Really useful and saved my life! Thank you so much!! !